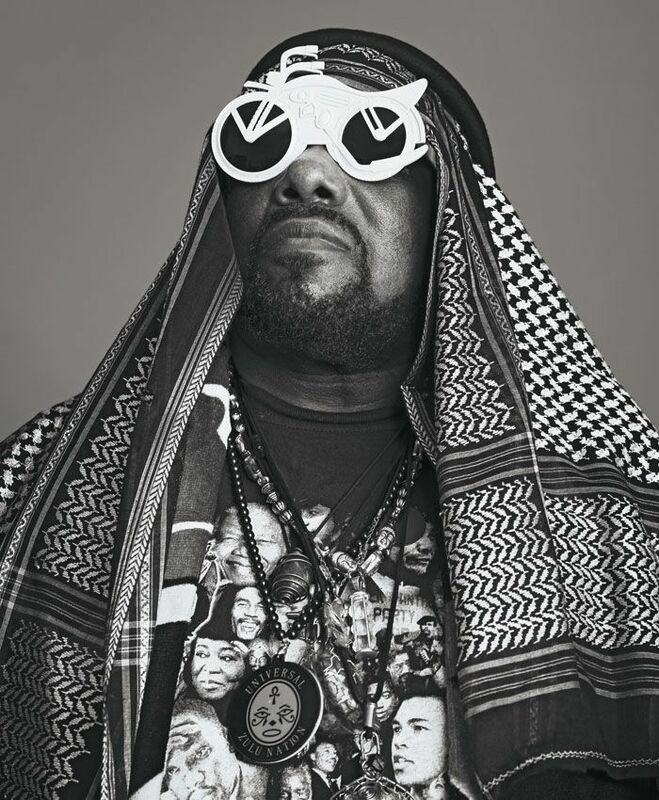 Few artists have united as many disparate scenes, with such earth-shaking results, as hip-hop forefather Afrika Bambaataa. Bringing together old-school funk, new wave and club culture, and adding heavy doses of street art and Black Power, the South Bronx native transformed the then-unnamed genre of rap into a phenomenon. To this day, his 1982 track "Planet Rock" is a roof-raising testament to his genius. Personal OGs: The X Clan with Professor X, Paradise, Doug E Fresh, Immortal Technique, a young lady out of Georgia named Sa-Roc. I traveled the world and I have had many people tell me that I saved their life. That's a big inspiration to me.